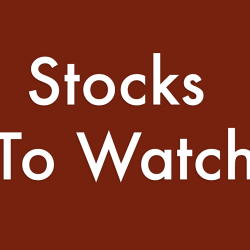 Bio-Path Holdings, Inc. (NASDAQ: BPTH) shares climbed 196.92 percent to close at $7.72 on Friday after the company announced it will present data at the 2019 Association for Cancer Research annual meeting on April 30. China Internet Nationwide Financial Services Inc. (NASDAQ: CIFS) surged 45.09 percent to close at $3.25. Puma Biotechnology, Inc. (NASDAQ: PBYI) shares gained 39.99 percent to close at $38.93 after the company reported better-than-expected Q4 EPS and sales estimates. The company also reported a 204% year-over-year increase in sales of its NERLYNX breast cancer treatment. GlobalSCAPE, Inc. (NYSE: GSB) rose 33.48 percent to close at $6.06 following Q4 results. GlobalSCAPE posted Q4 earnings of $0.17 per share on sales of $9.27 million. Lexicon Pharmaceuticals, Inc. (NASDAQ: LXRX) surged 28.01 percent to close at $6.81 after the CHMP recommended the company's Zynquista for the treatment of adults with type 1 diabetes. Diversified Restaurant Holdings, Inc. (NASDAQ: SAUC) gained 26.97 percent to close at $1.13 after the company reported Q4 comps grew 2.2 percent since last year. The company also plans to buy 9 Buffalo Wild Wings restaurants located in the Chicago area for $22.5 million. Castlight Health, Inc. (NYSE: CSLT) shares rose 23.82 percent to close at $3.95 after the company beat Q4 sales estimates and provided FY19 EPS guidance on the high-end of analyst estimates. Zscaler, Inc. (NASDAQ: ZS) rose 21.92 percent to close at $60.57 after the company reported better-than-expected Q2 results and issued strong Q3 forecast. Aqua Metals, Inc. (NASDAQ: AQMS) gained 21.2 percent to close at $3.43 after the company reported Q4 results and disclosed a partnership with Veolia North America Regeneration Services to operate and manage its McCarran, Nevada AquaRefinery. Apellis Pharmaceuticals, Inc. (NASDAQ: APLS) shares gained 20.86 percent to close at $18.31. SunLink Health Systems, Inc. (NYSE: SSY) rose 18.1 percent to close at $1.4500 after the company announced it sold Parkside Ellijay Nursing Home for approximately $7.3 million. XBiotech Inc. (NASDAQ: XBIT) climbed 17.78 percent to close at $9.34. DENTSPLY SIRONA Inc (NASDAQ: XRAY) gained 17.65 percent to close at $49.13 after reported upbeat results for its fourth quarter. Farfetch Limited (NYSE: FTCH) rose 17.63 percent to close at $28.82 after reporting strong Q4 results. Habit Restaurants Inc (NASDAQ: HABT) rose 17.57 percent to close at $13.25 after reporting a fourth-quarter earnings beat. Bio-Rad Laboratories, Inc. (NYSE: BIO) shares gained 17.17 percent to close at $317.41 after the company beat Q4 EPS estimates. Several banks also raised their price target on the company's stock. Digital Ally, Inc. (NASDAQ: DGLY) rose 16.67 percent to close at $4.20. The Gap, Inc. (NYSE: GPS) shares gained 16.18 percent to close at $29.51 after the company announced plans to split into two independent publicly traded companies. Gap also reported a fourth-quarter earnings beat. Stericycle, Inc. (NASDAQ: SRCL) rose 15.81 percent to close at $51.63 after the company beat Q4 EPS and sales estimates. The company also provided FY19 sales guidance inline with estimates. Acadia Healthcare Company, Inc. (NASDAQ: ACHC) shares rose 15.67 percent to close at $30.41 following Q4 results. Amicus Therapeutics, Inc. (NASDAQ: FOLD) gained 15.04 percent to close at $13.92. Pfenex Inc. (NYSE: PFNX) rose 14.92 percent to close at $5.16. Editas Medicine, Inc. (NASDAQ: EDIT) shares climbed 14.59 percent to close at $23.64 following Q4 results. Magenta Therapeutics, Inc. (NASDAQ: MGTA) gained 14.57 percent to close at $15.02. Energous Corporation (NASDAQ: WATT) climbed 14.24 percent to close at $6.58. AMC Entertainment Holdings, Inc. (NYSE: AMC) rose 14.04 percent to close at $16.00 after the company reported-better-than expected Q4 revenue on improving attendance. Core-Mark Holding Company, Inc. (NASDAQ: CORE) shares gained 14 percent to close at $35.92 following strong quarterly sales. Independence Contract Drilling, Inc. (NYSE: ICD) gained 13.87 percent to close at $3.53 following strong Q4 results. China SXT Pharmaceuticals, Inc. (NASDAQ: SXTC) rose 13.62 percent to close at $7.06. TEGNA Inc. (NYSE: TGNA) gained 13.52 percent to close at $14.95 after the company reported better than expected Q4 EPS and revenue results. Portola Pharmaceuticals Inc (NASDAQ: PTLA) rose 13.06 percent to close at $34.72 after the company announced its Ondexxya recieved a positive opinion from Europe's Committee for Medicinal Products. CRISPR Therapeutics AG (NASDAQ: CRSP) shares surged 12.94 percent to close at $39.97. Chimerix, Inc. (NASDAQ: CMRX) rose 12.81 percent to close at $2.29. Bloom Energy Corporation (NYSE: BE) gained 12.65 percent to close at $16.30. AAC Holdings, Inc. (NYSE: AAC) rose 12.55 percent to close at $2.87. Village Farms International, Inc (NASDAQ: VFF) gained 12.1 percent to close at $11.86 after the company announced it will enter into an agreement with Nature Crisp to form a joint venture for the outdoor cultivation of high-cannabidiol (CBD) hemp. Audentes Therapeutics, Inc. (NASDAQ: BOLD) rose 11.56 percent to close at $34.16. Sangamo Therapeutics, Inc. (NASDAQ: SGMO) climbed 11.54 percent to close at $10.05 following upbeat Q4 results. SunOpta Inc. (NASDAQ: STKL) gained 11.54 percent to close at $2.90. frontdoor, inc. (NASDAQ: FTDR) rose 11.25 percent to close at $35.60. Veritone, Inc. (NASDAQ: VERI) climbed 11.18 percent to close at $6.86. American Renal Associates Holdings, Inc. (NYSE: ARA) rose 11.13 percent to close at $13.88. Intellia Therapeutics, Inc. (NASDAQ: NTLA) shares rose 11.1 percent to close at $16.92. PPDAI Group Inc. (NYSE: PPDF) surged 11 percent to close at $5.35. Strategic Education, Inc. (NASDAQ: STRA) gained 10.58 percent to close at $144.61 after the company beat Q4 EPS and sales estimates. Foamix Pharmaceuticals Ltd. (NASDAQ: FOMX) climbed 10.24 percent to close at $3.6600 amid reports Cowen issued a bullish note on the stock, which included a $30 price target. Foamix reported fiscal year 2018 financial results. XpresSpa Group, Inc. (NASDAQ: XSPA) rose 9.28 percent to close at $3.7700. Cardlytics, Inc. (NASDAQ: CDLX) climbed 9.19 percent to close at $19.24. 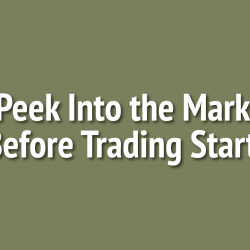 AcelRx Pharmaceuticals, Inc. (NASDAQ: ACRX) gained 8.93 percent to close at $3.66. Foot Locker, Inc. (NYSE: FL) shares gained 5.96 percent to close at $63.07 after the company reported stronger-than-expected results for its fourth quarter. Funko, Inc. (NASDAQ: FNKO) rose 5.18 percent to close at $20.92 after reporting a fourth-quarter earnings and sales beat. WPP plc (NYSE: WPP) rose 4.2 percent to close at $57.30 after reporting 2018 preliminary results. VMware, Inc. (NYSE: VMW) rose 3.72 percent to close at $178.20 after reporting stronger-than-expected earnings for its fourth quarter on Thursday. ImmunoGen, Inc. (NASDAQ: IMGN) shares dipped 46.82 percent to close at $2.51 on Friday after reporting top-line results from Phase 3 FORWARD I study of mirvetuximab soravtansine in ovarian cancer. The company disclosed that the study did not meet primary endpoint. Intrexon Corporation (NASDAQ: XON) dropped 36.51 percent to close at $5.06 after the company reported worse than expected Q4 EPS and Northland Securities downgraded the stock from Outperform to Market Perform. Nutanix, Inc. (NASDAQ: NTNX) shares fell 32.72 percent to close at $33.70. Nutanix reported a narrower-than-expected loss for its second quarter, but issued weak 2019 guidance. Maxar Technologies Inc. (NYSE: MAXR) fell 20.25 percent to close at $5.83 following Q4 results. CIBC downgraded Maxar Technologies from Neutral to Underperform. IMV Inc. (NASDAQ: IMV) shares fell 19.69 percent to close at $4.12 after the company priced a 4.9 million share common stock offering at C$5.45 per share. Pernix Therapeutics Holdings, Inc. (NASDAQ: PTX) dropped 19.27 percent to close at $0.2220 on continued weakness after the company late Wednesday announced it has filed voluntary petitions commencing cases under Chapter 11 bankruptcy. DASAN Zhone Solutions, Inc. (NASDAQ: DZSI) dropped 18.15 percent to close at $11.32 after the company missed Q4 sales estimates. Zix Corporation (NASDAQ: ZIXI) shares dipped 16.5 percent to close at $7.54 after the company issued weak earnings forecast. Universal Insurance Holdings, Inc. (NYSE: UVE) shares declined 15.92 percent to close at $32.80 after reporting Q4 results. Oasmia Pharmaceutical AB (publ) (NASDAQ: OASM) shares fell 15.58 percent to close at $2.6000. 58.com Inc. (NYSE: WUBA) fell 14.79 percent to close at $62.13 after the company reported Q4 results. Mersana Therapeutics, Inc. (NASDAQ: MRSN) fell 14.52 percent to close at $4.71. Mersana Therapeutics priced 21.25 million shares at $4 per share. Navios Maritime Acquisition Corporation (NYSE: NNA) dropped 14.5 percent to close at $5.72. 3D Systems Corporation (NYSE: DDD) dipped 14.02 percent to close at $12.14 following weak quarterly sales. Cerecor Inc. (NASDAQ: CERC) declined 13.69 percent to close at $6.18. NF Energy Saving Corporation (NASDAQ: BIMI) shares fell 13.18 percent to close at $5.40. Kirkland's, Inc. (NASDAQ: KIRK) shares fell 13.1 percent to close at $10.15 after the company reported Q4 sales is 3.79 percent lower since last year. The company also issued FY18 EPS guidance below analyst estimates. Lantronix, Inc. (NASDAQ: LTRX) dropped 12.45 percent to close at $2.39. Evofem Biosciences, Inc. (NASDAQ: EVFM) fell 12.05 percent to close at $3.65 following Q4 results. Navios Maritime Containers L.P. (NASDAQ: NMCI) shares dipped 11.76 percent to close at $1.9500. NeoPhotonics Corporation (NYSE: NPTN) fell 10.75 percent to close at $7.14 after reporting Q4 results. Arcadia Biosciences, Inc. (NASDAQ: RKDA) shares dropped 10.43 percent to close at $7.21. Ashford Hospitality Trust, Inc. (NYSE: AHT) shares tumbled 10.26 percent to close at $4.81 following Q4 results. Alarm.com Holdings, Inc. (NASDAQ: ALRM) fell 9.63 percent to close at $59.31 after the company reported Q4 results. 21Vianet Group, Inc. (NASDAQ: VNET) dropped 9.53 percent to close at $8.54. Tesla, Inc.. (NASDAQ: TSLA) fell 7.84 percent to close at $294.79 after the company announced it would close its dealerships to remain financially sustainable while pricing the Model 3 at $35,000. Nektar Therapeutics (NASDAQ: NKTR) fell 5.94 percent to close at $38.13 following weak Q4 results. Pattern Energy Group Inc. (NASDAQ: PEGI) fell 5.47 percent to close at $19.72 after reporting Q4 results.